Greg C. visited the Rock Creek site this past Tuesday morning and witnessed the missing wooden trestle. It’s gone! :'( This marks the end of an era, the bridge having stood since 1892 has finally gone down. 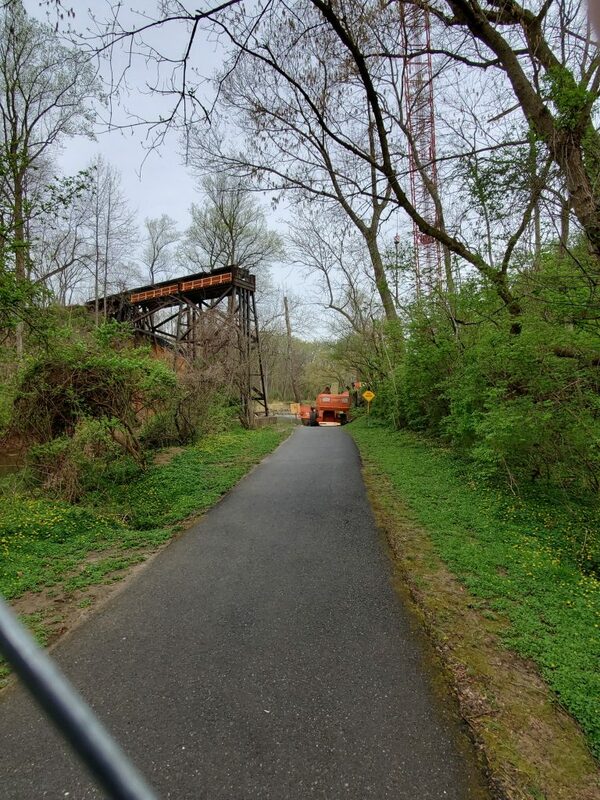 A new pair of bridges will replace this one, carrying the Purple Line rapid transit and the Capital Crescent Trail across the valley at about half the height of the original trestle. RIP. 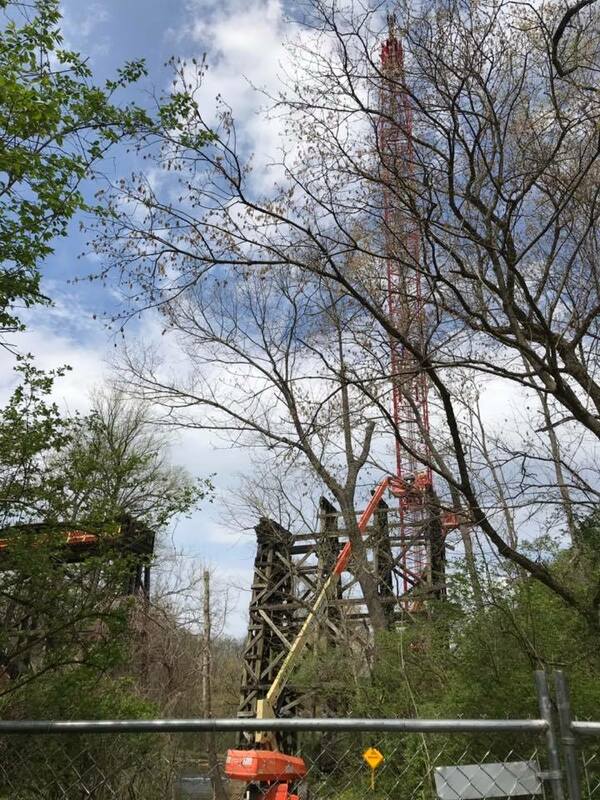 4/9/19 – the wooden trestle is no more. The steel 1972 rebuilt section of the west end still stands, for now. Photo courtesy Greg C.
4/8/19 – Photo by Ed Murtagh from the Bethesda Chevy Chase Back In The Day Facebook group.